This is an easy way to save some money and make your own chicken broth. After you made your Slow Cooker Chicken leave everything in your pot (I mean everything) and follow the directions below. This is a great recipe we got here. 1. After you finish cooking your Whole Chicken, remove all the edible meat and put everything back in the pot. Leave in all the onions, juices, etc. 2. 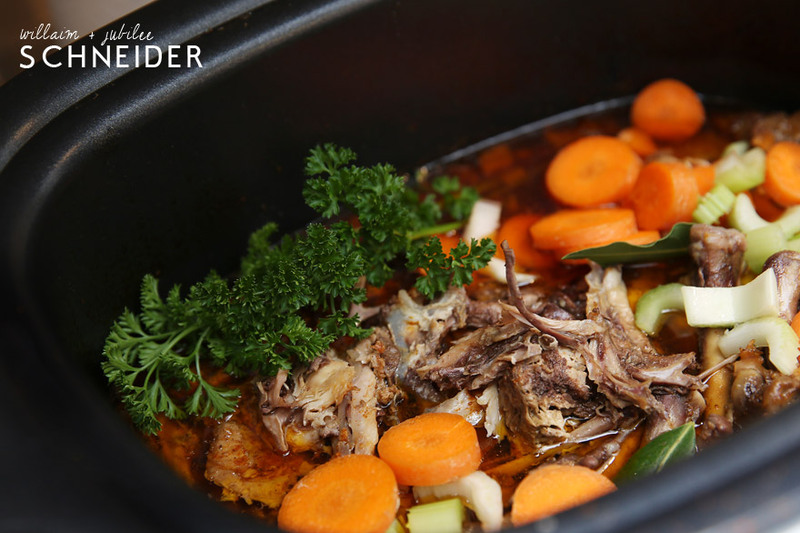 Add the onion, celery, carrot and spices on top of the bones and fill the crock pot almost to the top with water (leaving about ½” at the top). 4. Once the stock is done let it cool and strain into bags/jars. Note: We strain the broth into bags in 2 cup measurements and freeze. We use the broth for rice, other slow cooker meals, soups, etc. 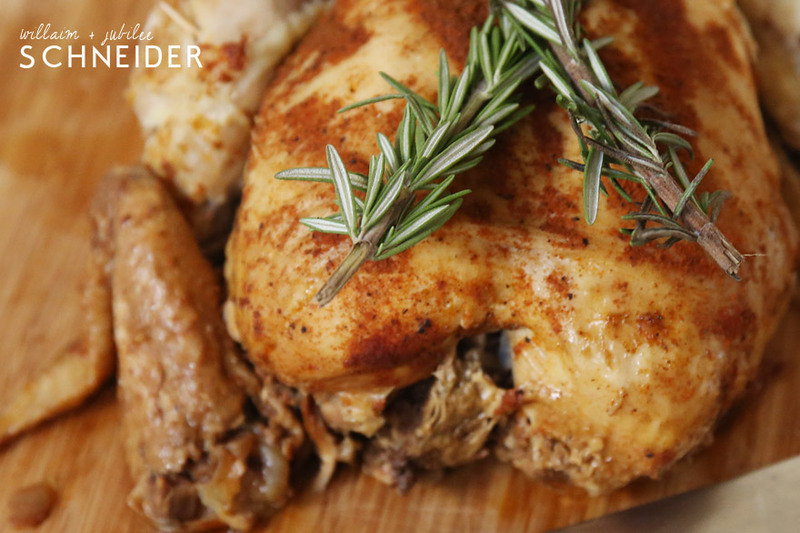 This is a delicious recipe if you are looking for a healthy whole chicken recipe. We love it because it ends up being the start to several meals: Chicken Noodle Soup, Chicken Stock and Fiesta Chicken. Note: You can cook the chicken frozen, but if you want to clear out the inside (giblets) let it thaw overnight. 1. Combine all the dried spices in a small bowl. 2. Chop the onion into large squares and put them on the bottom of the slow cooker. 3. 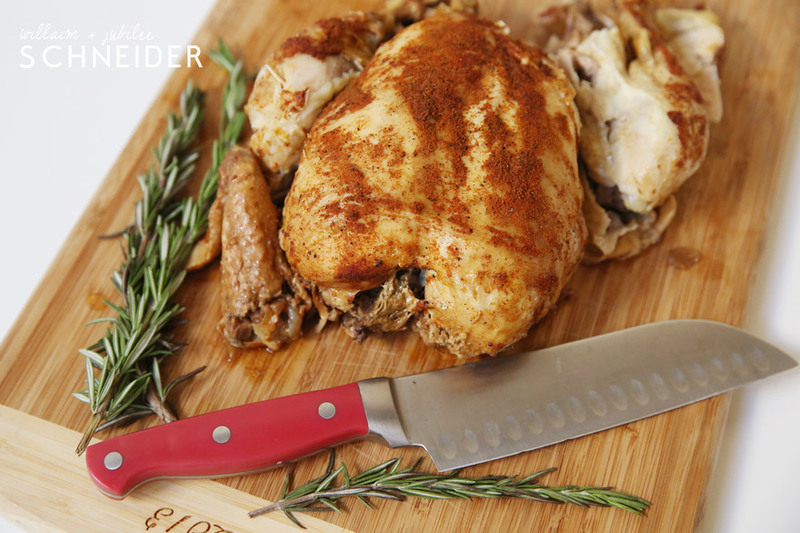 Remove insides from the chicken (optional) and then rub the dry spice mixture all over the chicken. Put the chicken in the slow cooker on top of the onions in the slow cooker and cover it. You do NOT need to add any liquid. You know how potatoes are always the first thing knocked off the menu when you are looking to loose some weight? Well I personally love mashed potatoes and knew I needed to find a healthier version. How about mashed potatoes made out of cauliflower? I know. But they are amazingly good. I brought a bowl of them to thanksgiving and no one knew the difference! 1. Fill a pot with water and bring to a boil. Add your cut up cauliflower pieces and boil til very tender. About 10 minutes. 2. Drain water and put cauliflower into mixer with a mashing piece or a food processor. 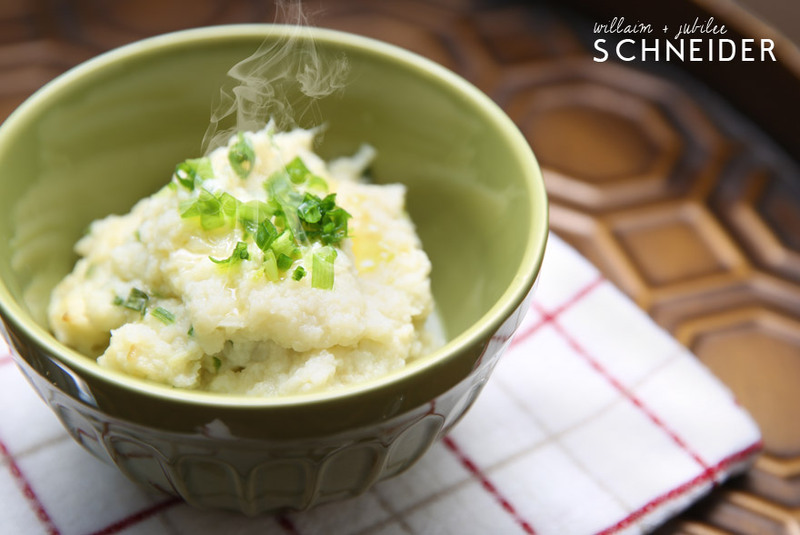 Add 2-3 teaspoons of your chopped chives, a pinch of salt, 1 teaspoon garlic and mash completely.